Beautiful home on premium mountain view lot featuring panoramic mountain views. 2 bedrooms plus a den providing front to back views. 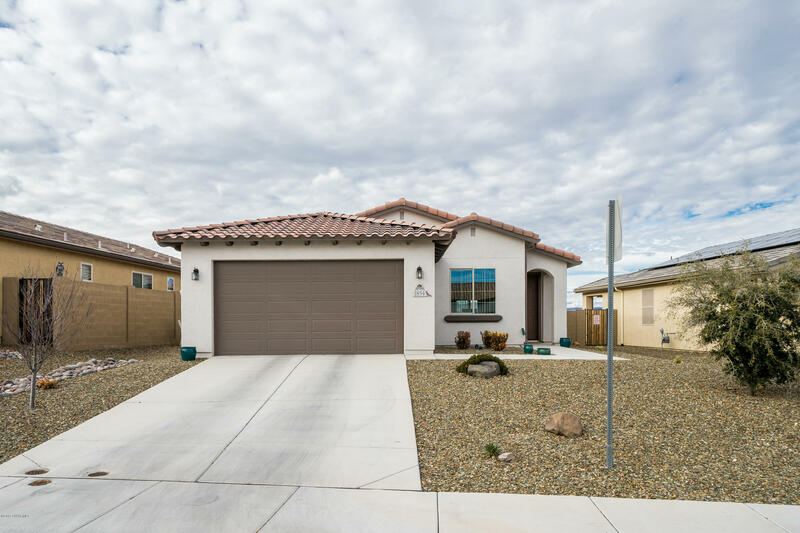 Nearly new home with all tile floors built in 2016 and immaculately cared for. Kitchen features granite counter tops, island & breakfast bar, maple cabinets, and upgraded stainless steel appliances including stainless steel Whirlpool refrigerator (warranty good until 7/7/19). 10 yr structural warranty issued by 2-10.com will transfer to new homeowner. Owned solar with grandfathered APS rate plan. Utility sink installed in garage. Custom window treatments, custom laundry cabinets, and ceiling fans throughout. EnergyStar Certified.